*Unique seam sealed QUIET-TEX PRO™ laminated shell which is 100% waterproof, windproof, and abrasion resistant. *Two deep cargo pockets to go with the two chest pockets. *Interior zippered and velcro pockets. *Underarm waterproof zips for temperature regulation. 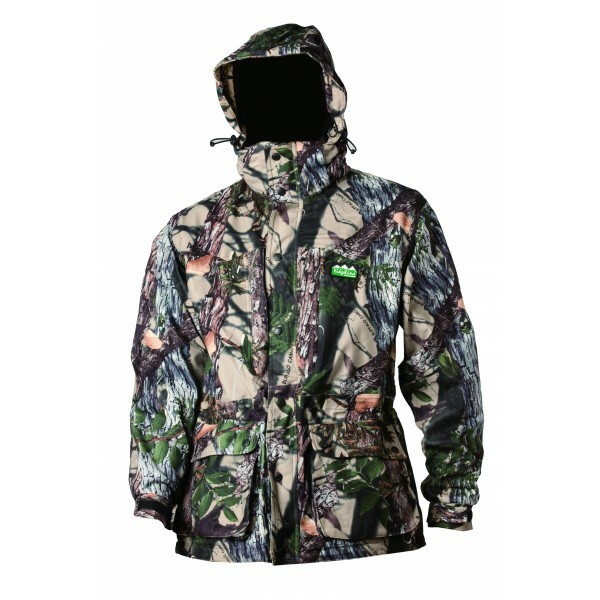 *A shooter’s hood which allows perfect shooting visibility. *A full length double zip and button storm flap. *Available in Olive & Buffalo Camo. Ridgeline's Torrent Range is the ultimate in bad weather protection and the Torrent Euro Jacket is no exception. It features the unique seam sealed QUIET-TEX PRO™ laminated shell which is 100% waterproof, windproof, and abrasion resistant.